Home > Hair Products > Shampoo > What Clarifying Shampoo is Best for Dry and Damaged Hair? The holy grail of cleansing systems! It’s a Catch 22: We want to give our strands a satisfying deep-clean every once in a while, but doing so can leave them feeling stripped and vulnerable. Especially on already-damaged hair! The crucial question therefore is what clarifying shampoo is best for hair that’s been through the wringer? Ask an Editor: What Clarifying Shampoo is Best for Dry and Damaged Hair? Just as how spring-cleaning our products (and our wardrobes!) is a necessary step, clearing out any residue and gunk from our locks is also essential here and there to maintain healthy-looking and healthy-feeling hair. Product buildup, dirt, sweat, oil and sebum, as well as any other minerals (from hard water, etc. ), when left unchecked, can lead to a host of other hair and scalp problems. 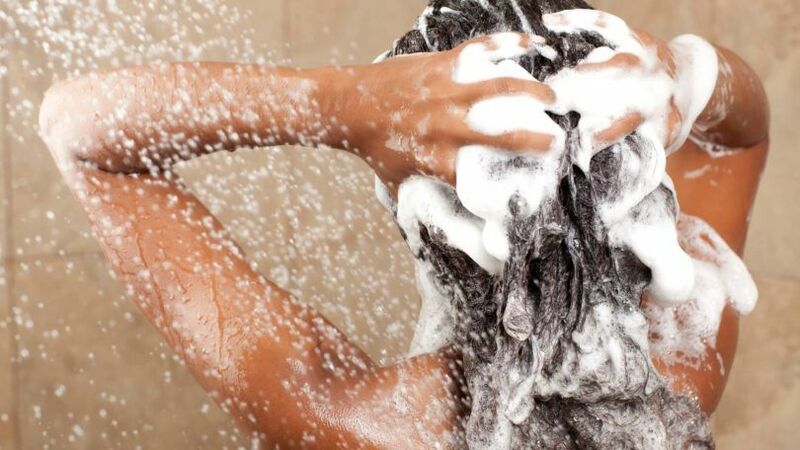 Limpness, a greasy look and feel, an itchy scalp and even dandruff can plague those who don’t know what clarifying shampoo is best to use and how best to use it. Satisfyingly good? A nice, thorough cleanse is necessary at times to keep our scalps and strands free from dirt and residue. 1. Pick a shampoo that does both. Dry and damaged hair in particular is particularly sensitive to a shampoo that eliminates impurities and “oils.” The trick is finding a shampoo (and conditioner, if possible) that cleanses hair without overstripping it of moisture, or better yet, goes the extra stop and nourishes strands as it cleans. 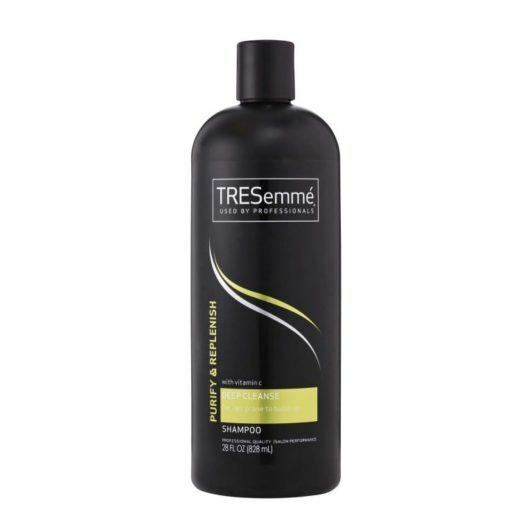 TRESemmé Purify & Replenish Deep Cleansing Shampoo gently clarifies and removes buildup that can dull shine and softness. This is where most of us commit a misstep in the clarifying wash process: We neglect a conditioner. It doesn’t matter whether we know what clarifying shampoo is best for dry and damaged hair. Especially if we overlook the crucial step of conditioning strands immediately after. This step may sound counterintuitive to some people. As long as you pick a conditioner that lightly hydrates without adding heavy build-up, you’re all set. A formula such as that in TRESemmé Purify & Replenish Deep Cleansing Conditioner, which has Pro-vitamin B5 and aloe, helps do exactly that. Used in tandem, the system masters the balance between removing buildup and replenishing moisture, which is exactly the type of thing dry, damaged and porous hair needs. Finally, the holy grail!